Want to try our delicious products? It’s no secret, Australians love French Toast. 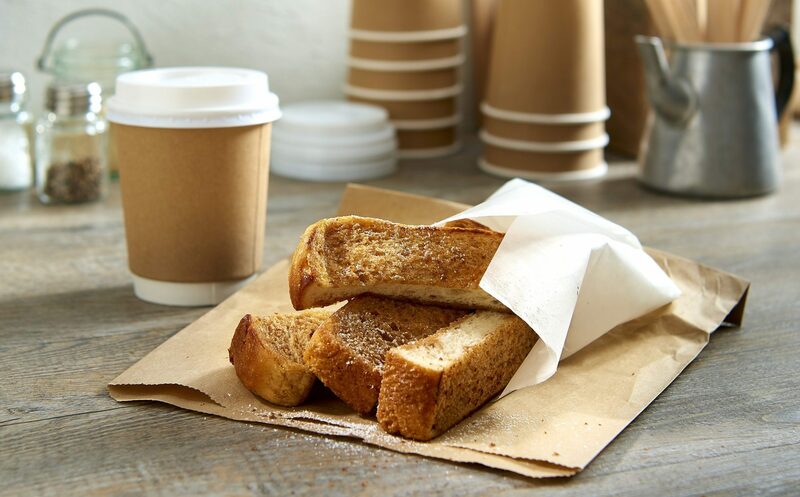 So, whether you’re looking to add an extravagant hero item to your menu or a simple takeaway option for your on-the-go customers, it’s a safe bet our French Toast will bring you more diners. Cooked and snap frozen, making it quick to prep, clean up and serve… real egg French Toast will bring a revolution to your business by saving time, money and waste. Bid adieu to the food safety risk associated with preparing French Toast from scratch. 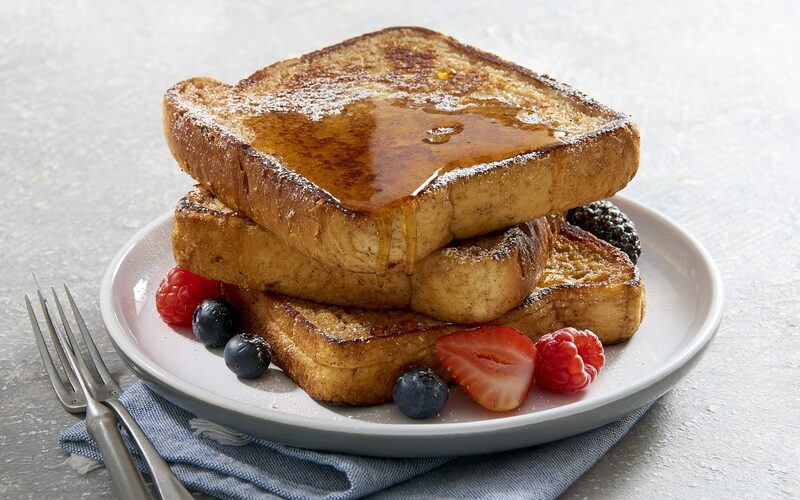 And the versatility of our French Toast creates endless ways to add it to your menu. 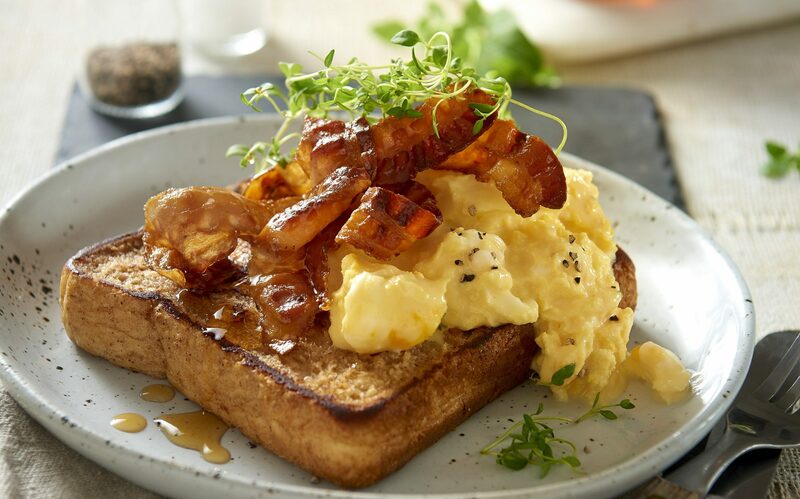 Sweet, savoury, plated or sliced – it will be the piece de resistance of your brekkie or brunch offer! Made with real, farm fresh eggs and no added colours or flavours. Contains: Gluten (Wheat), Egg, Soy. May contain: Rye, Barley, Oats, Milk. These instructions are a guide only. Heating times may vary according to the number of items being heated and the power of equipment used. As a guideline we recommend heating products to 65-70°C and serve. We do not recommend reheating previously heated product. Cool for 30 sec before slicing and serving. IMPORTANT NOTES: Always monitor cooking as heat intensity and cook time settings can vary significantly between makes of toaster. Remove from press and cool for 30 sec before cutting and serving. Pre-heat conventional oven to 160°C or 150°C for fan forced. Place French Toast on a baking tray or wire rack. If THAWED place in oven and heat for 5 – 7 min. If FROZEN place in oven and heat for 8 – 10min. Remove from oven, allow to cool for 30 sec before cutting and serving. Remove from out-feed and allow to cool for 30 sec before cutting and serving. Remove from fryer, drain well. Allow to cool for 30 sec before cutting and serving.